hd00:19Waist down shot of the guests in formal wear at wedding party making steps from side to side. On the grounds there are a lot of hearts pictured by multi colored chalks. hd00:24Crosswalk. 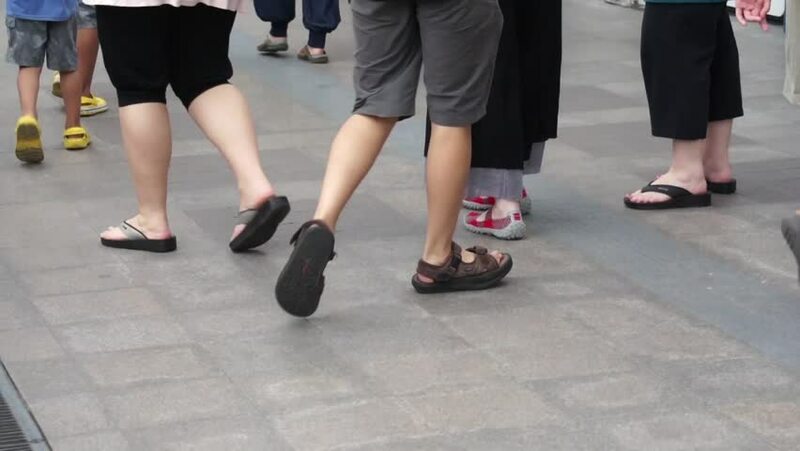 People in Different Shoes Crossing Street. hd00:12People crossing street. Warsaw Poland. 01. June. 2018. Crowded crosswalk. City life. people walking in the city on crowded street. 4k00:16Salt Lake City, Utah - CIRCA - 2009 - Crane shot from the ground to above a crowd at a farmers market.